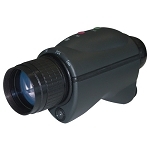 The NVS 14 series monoculars are among the smallest and lightest products of their kind. Each model can be handheld as well as, weapon, head or helmet mounted. 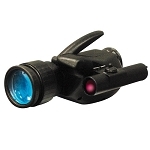 The NVS 14 series is among the world's most versatile night vision devices. 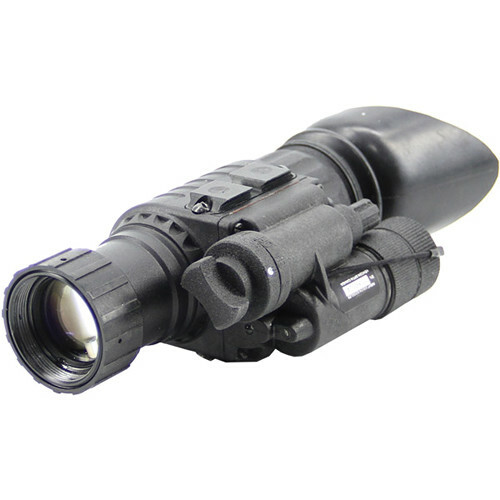 The NVS 14-3 AG is a Gen 3 auto-gated (eXtreme Performance) Night Vision Monocular, and has manual gain control, full MIL SPEC, minimum 64 lp/mm resolution, helmet/head/weapon mountable, waterproof, built in ‘IR on’ and ‘low battery’ indicators. The battle tested NVS 14 night vision monocular from Newcon Optik addresses military and law enforcement scenarios with the capability of observation under total darkness conditions. Features such as extreme durability combined with unprecedented image quality support its impeccable reputation. The heart of this night vision monocular goggle is its high performance 3rd generation intensifier with a specified resolution of 57-64 lp/mm. This tube ensures that your sight picture will be clear, sharp, and full of detail and contrast. Additionally, you can easily attach two NVS 14s together to create a fully operational stereoscopic binocular. Two possible types of standard batteries add flexibility to the device usage in field environment. 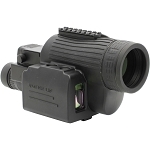 A variety of accessories allows this NVD to be used with different types of helmets, attached to a camera or camcorder, a riflescope or as a 3x magnification night scope with an additional add-on lens. 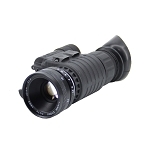 Resolution: 57-64 lp/mm: Third generation intensifiers last longer and deliver brighter images with greater detail and less distortion than previous generations of night vision technology.